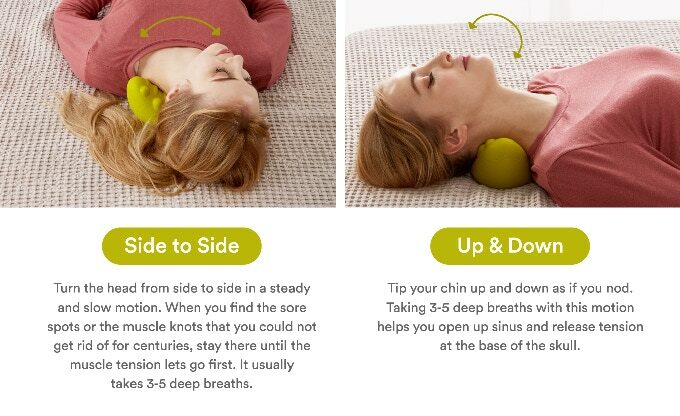 If you suffer from tension in your neck, shoulders and upper back, then just 10 minutes with C-Rest will change your life! 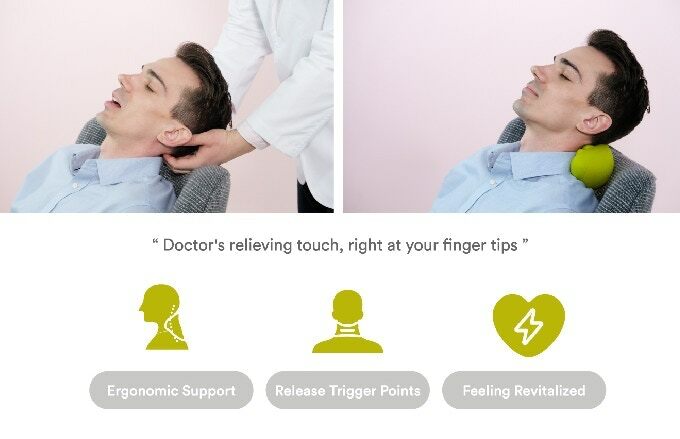 Specially developed by a doctor and chiropractor to be the most efficient neck massager available, C-Rest employs an incredible combination of acupressure, occipital muscle stimulation and cervical relaxation to instantly relieve your neck pain. C-Rest is expertly designed to provide your next with unparalleled support by stabilizing the curvature of your spine, regaining your natural posture. By specifically targeting your neck extensor muscles, C-Rest is able to drastically reduce tension and soreness within just 10 minutes. 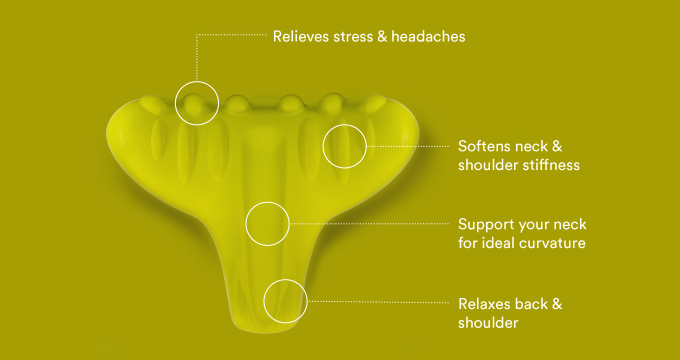 Unlike other neck massaging units, C-Rest does not require any batteries or electricity. 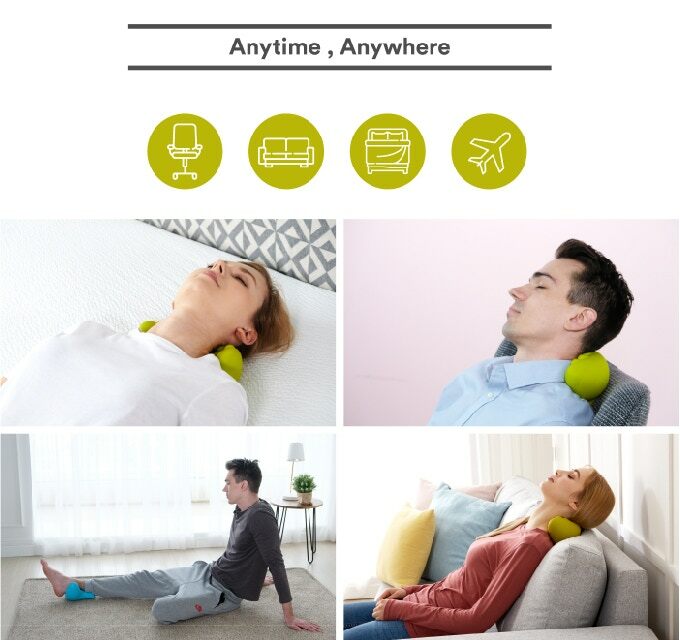 Simply place the device under your neck as you lay down and its ergonomic support will naturally release trigger points to have you feeling revitalized instantly. Through its uniquely constructed design, your spine will stabilized and supported which will re-establish your body’s natural posture. This will lead to an increase in blood flow to your brain, neck muscles and shoulders, which instantly begins to reduce soreness while increasing the range of motion in your upper body. 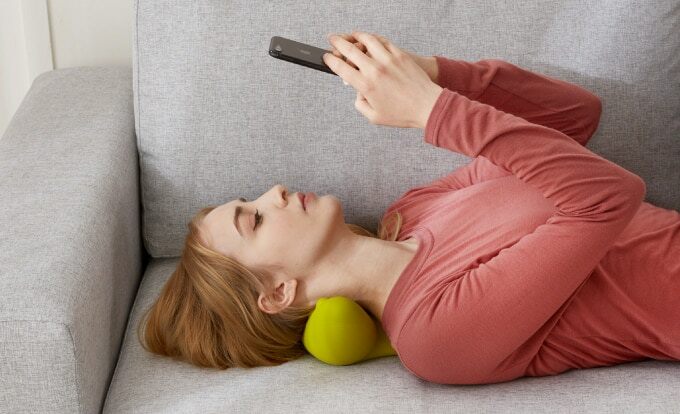 Studies show that optimized posture is directly related to elevation in mood, concentration, metabolism, immune system and more, so the C-Rest’s ability to perfect your body‘s curvature is doing much more than you can ever imagine! Although neck tension and shoulder stiffness may seem like a minor annoyance, they impact your overall well-being and can create future problems if left unattended. C-Rest combats these issues by providing users with a wide variety of benefits which increase your overall physical and mental well-being. Relieving Neck Tension and Soreness: Never worry about suffering from the tension that comes with long days in front of a computer again, as C-Rest uses proven acupressure techniques that release knots in both neck and shoulders. Remove Upper Body Stress: When your spinal alignment is incorrect, your upper body is put under a lot of stress which can cause everything from pressure buildup to headaches to sinus congestion. Improve Your Posture: Many people have had their posture deteriorate due to unnatural movements such as using a smartphone or computer. C-Rest regains your natural spinal curvature so your body can rediscover its correct posture over time. Increase Flexibility and Range of Motion: As your neck and upper back stiffen, your mobility lessens. C-Rest increases blood flow to the region, allowing your muscles to warm, resulting in a dramatic increase in your range of motion. Mood Elevation and Mental Performance: When blood is freely flowing to your brain and your physical alignment is harmonized, your mental capacity and mood are optimized, resulting in better concentration, problem solving and creativity.